I am in California visiting my brother who is recovering from a serious condition and a series of set-backs. He is doing well, getting stronger everyday. "Tough times never last, tough people do". Sitting at his table, drinking some new coffee that I just bought yesterday at Cambridge Farms, my thoughts turn to our late father. On the table I see a book about the great Jewish baseball player Hank Greenberg. My brother inherited my dad's passion for Jewish baseball players and sports heroes. Around the house I see video tapes of movies we watched as kids, movies that now my brother's kids grow up on. The family Heritage is everywhere. It is in how they are being raised, their values, their habits. I was speaking with my brother about my nieces financial future, their college years, adult years and...the years when perhaps we will no longer be here to help. He commented that we were raised well, and just as our parents started saving for us when we were born, so has he. All his children had savings accounts opened for them at birth. The gifts from the grandparents, aunts, uncles etc...are growing nicely in those accounts. My father's careful habit of taking care of the future is being passed on to the next generation. When I take my nieces out to dinner, or shopping, I inform them of the "Price" they must pay for this; I tell them that the reason I treat them as such is because this was the example that my late aunts and uncles showed me. The "Price" is that sometime in the distant future they must be kind and generous to their nieces and nephews. They smiled. But along with a heritage of Financial planning there must also be a new heritage; the Krav Maga Heritage. We must train our children, our nieces and nephews, from their early years to understand that self-defense, Krav Maga, awareness and security, are part of their lives, part of their responsibility, and part of their Heritage. For boys and girls, for our entire household, we must teach this value, it must be passed down to the next generation. We are responsible for taking care of ourselves. Waiting for others to help, for the police, for the military, for the government, is not always an option. We must train to be the first responders, we must know how to act. We start with basic, simple training suitable for children. We make it feel like a fun game. With time, as they grow older, they begin to understand the seriousness of the training. This is their birthright and responsibility. This is our heritage that we must pass down to them. Years ago one of my first Karate teachers, Sensei Romero of the Oyama Kyokushin dojo, told me that he began his training at the age of six. He received a membership to the dojo as a Christmas gift. Years later he was still training. This becomes a heritage. We look at their sweet young faces, so innocent, so pure. We feel this intense desire to protect them always, yet we know that someday we will not be here to protect them. I still remember my fathers' words to me; "Son, you must learn to stand up for yourself." We must teach them now, we must give them the tools and we must pass on the Krav Maga Heritage. May it never pass from our line. Our Patriarch Abraham trained his entire household in the art and tactics of warfare. 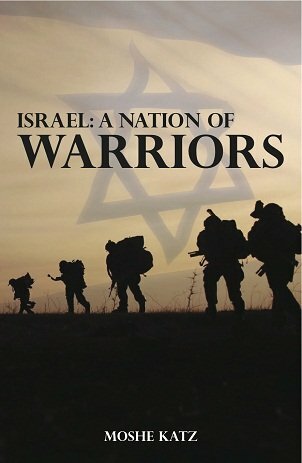 Learn the true story of Biblical and post-Biblical Hebrew Warriors. Biblical fighting, what was it like? What weapons did they use? What kind of tactics. Who were the great Hebrew warriors and how is their tradition being carried on today? Israeli - Hebrew fighting throughout the age; Abraham, Moses, Joshua, Samson, their mindset and their fighting skills.